2017 is coming to a close, which means I’ve managed to keep this column going for a full year. That’s pretty awesome. In tongue-in-cheek celebration of myself, this week is dedicated to one of my favorite movies of all time. Because hey, why not try to end this year on a high note? Okay, maybe the word all is a bit of a stretch in this case. But unless you like my stuff enough to click on any edition of this column (thank you if you do), chances are you’re familiar with Studio Ghibli, Hayao Miyazaki and this movie in particular. The film was an enormous hit in Japan, and Pixar CEO John Lasseter approached Disney about an English adaptation. That version is what I was introduced to in 2003, and started my long term love affair with Miyazaki’s works. 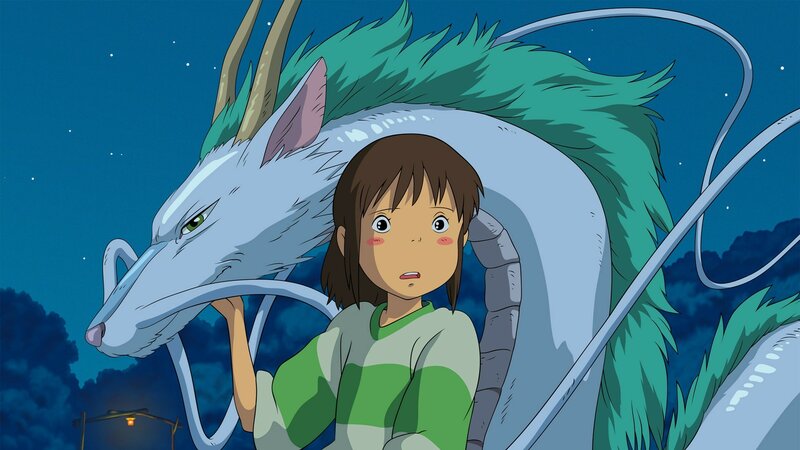 Whether this was your first dip into Studio Ghibli or you were already a fan, it’s hard to deny that Spirited Away is Miyazaki’s masterpiece. The film centers on a young girl named Chihiro, who becomes trapped in the Spirit World along with her parents. 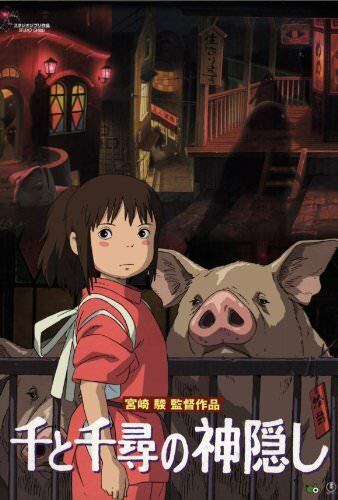 The film is driven by Chihiro getting a job at a bathhouse owned by a greedy witch named Yubaba, and trying to find a way to free herself and her parents, who have been transformed into pigs. With the help of Yubaba’s shapeshifting assistant Haku and her benevolent twin Zeniba, Chihiro may find a way home. And… that’s basically it. But the presentation is all that matters. The Spirit World and its inhabitants are some of the most creative and interesting sights in all of animation. I was blown away the first time I saw Haku’s dragon form or the arachnid like Kamaji. No-Face somehow blurs the line between sympathetic and terrifying. But it’s the oddball creations like the rolling heads, the Radish Spirit or the Stink Spirit that really make this world feel real. It isn’t always glamorous, and most of the spirits are only interested in money or self-indulgence. Without putting a bow on it, the film takes a shot at materialism even as it teaches the value of hard work and earning what you get. One of my favorite things about this movie is Chihiro, who feels like a real little kid. She’s very emotional, but has a great inner strength. She’s easily frightened, but she’s driven to accomplish her goals. When we first meet her she’s a bit lazy and bratty, but she proves to be teachable, resourceful and hard working. I love that the movie puts an emphasis on hard work, gratitude, humility, empathy and ingenuity. These are values that help us in the real world even as the movie fires our imagination. All of those things collide in perhaps my favorite scene, where Chihiro is forced to struggle with giving a bath to a stink spirit. We are watching her mature from being a little kid to a pre-teen. 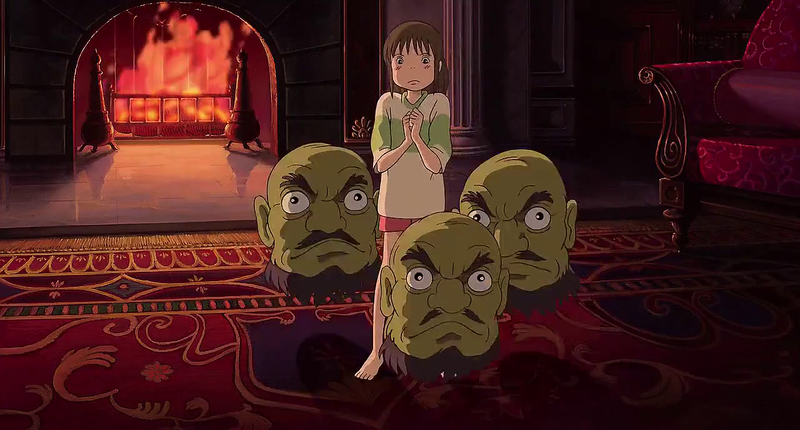 I’ve described Spirited Away as a Japanese take on Alice in Wonderland, but that feels inadequate. For one, the Spirit World, wondrous though it may be, actually obeys a certain sort of logic. But more importantly, the film actually has valuable lessons for children. It doesn’t beat them over the head with it, because Miyazaki has always respected his audience. But I feel that most kids in the 8-12 age group will relate to Chihiro and benefit from experiencing her journey. It’s not just a movie for kids, though. Yes, I’m a perpetually nostalgic fellow who long ago learned to accept that Disney animated movies have a place in my life just as much as Die Hard and Children of Men do. But I think almost anyone could watch this movie and be entertained by it. I’ve always said this is the only movie that has ever made me envious of someone’s creativity and talent. That’s the highest praise I can give. You know, I think we can skip this one, yeah? 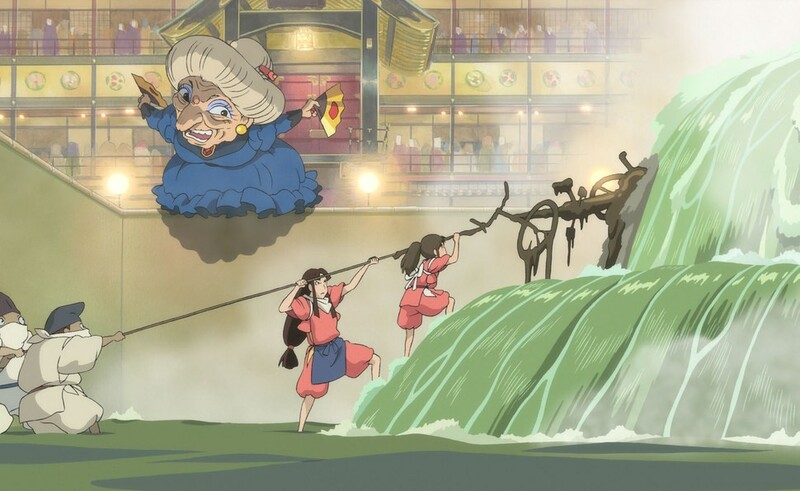 Spirited Away is, for my money, the best animated movie ever made. It’s also my favorite film of this young century, and one of my ten favorite films period. It does everything so well, and it’s such a unique movie that never feels like it’s treading old ground. If you loved it as a kid, you’ll probably still love it now. If you haven’t given it a chance, you definitely should. I log reviews for every film I see, when I see them. You can see my main page here. Recent reviews include The Muppet Christmas Carol, War of the Planet of the Apes and Wind River.